42.0% of throws behind or within 5 yards of the line of scrimmage. Impressions: Dwayne Haskins is a very experienced player. A lot of projection moving forward due to inconsistencies to his weekly play. He didn’t have a standard growth progression. He would have clunkers even late in the season. A pure pocket passer with nice velocity on his throws and arm strength that can drive the ball 50 yards down the seam, Haskins makes his money off quick slants and the short to intermediate game with a good feel for predetermined timing routes. Generally inconsistent with his deep ball and poor athleticism – worst in the class. While touted as a highly cerebral player, Haskins puts the ball in harm’s way by far the most in class. Ohio State runs very few pro style concepts in their passing game. You can watch a game and see half of all passes come from two basic concepts. They will run a two-slant look and shallow crosser around 20 times a game. He seems to predetermine many of his reads pre-snap and makes the decision quickly in real-time. If coverage looks different, or pressure sets in, his accuracy and efficiency drops dramatically. He’s much more accurate when he sees his guy open. He possesses average anticipation. His high/low reads aren’t that good and he is way too quick to come off the high read. He is very concerned with the high safety. He misses open deep receivers too often and he benefited greatly from dropped interceptions. He can make every throw, but he also misses a ton of throws. 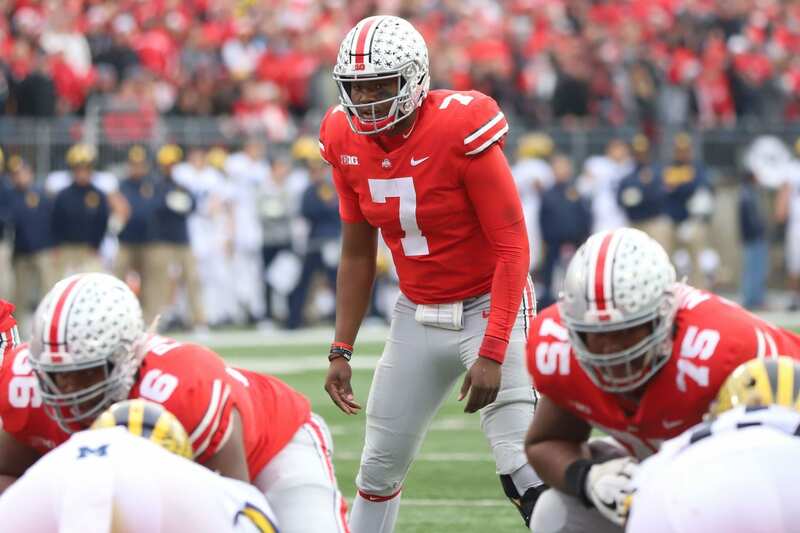 Overall, Dwayne Haskins has the frame, arm strength and mental make up to find success in the league. He is a natural winner and I like his makeup; however, I struggle to see an elite trait worth drafting top of the class. 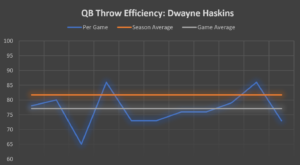 Haskins best path to success is having top-tier protection in front of him in an offense that relies heavily on a methodical, short passing game.